Red's Shoe Diaries: I scream, you scream! 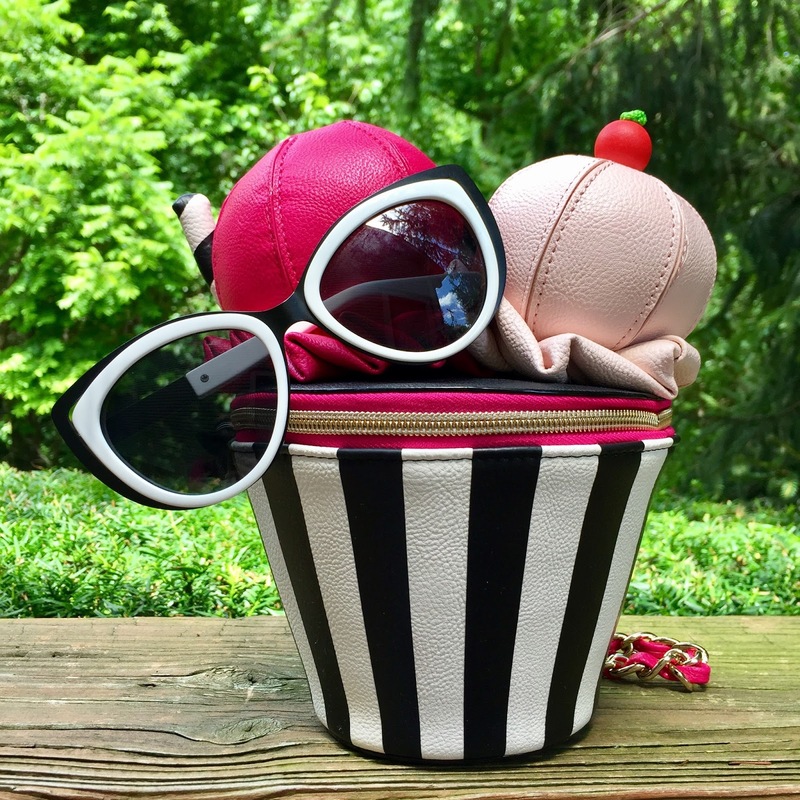 I scream; you scream; we all scream for ice cream - especially on National Ice Cream Day! Not that I've ever needed an excuse for ice cream. It's always been my favorite dessert...especially if it has a ribbon of peanut butter running through it...and hot fudge...and maybe some crushed oreos to top it off. As a kid, I also loved helping my parents make homemade strawberry ice cream in an old school wooden churn. Goat's milk; lots of plump, juicy fresh berries; and plenty of rock salt to get it to the perfect consistency. Delicious! Unfortunately, though my taste buds scream in delight over the creamiest of frozen treats, my tummy often cries in pain when I indulge. 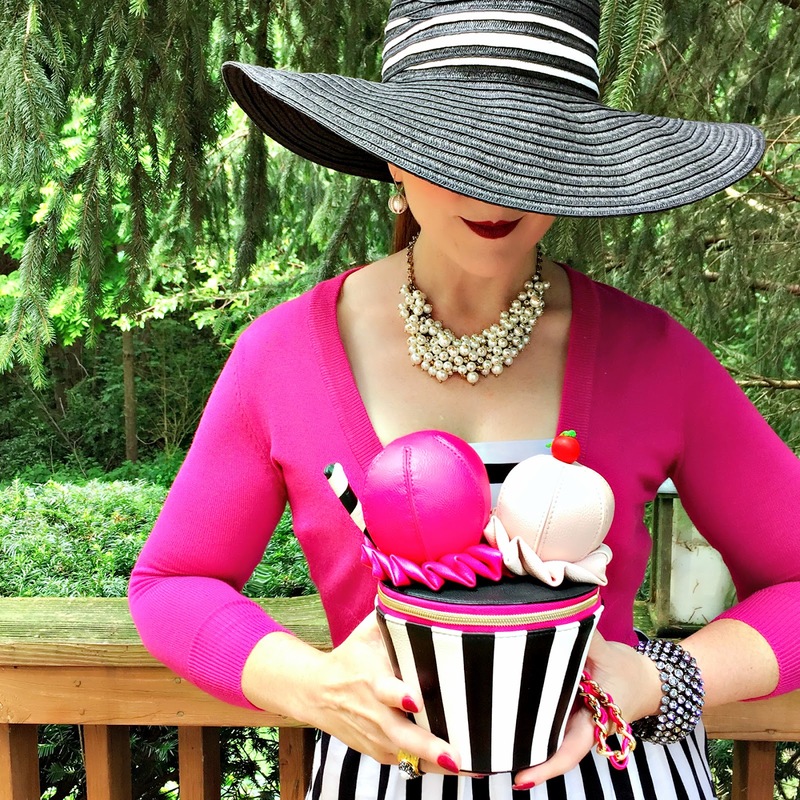 I can't give it up, though, so I'm always on the lookout for mouthwatering non-dairy alternatives, whether to eat or wear! 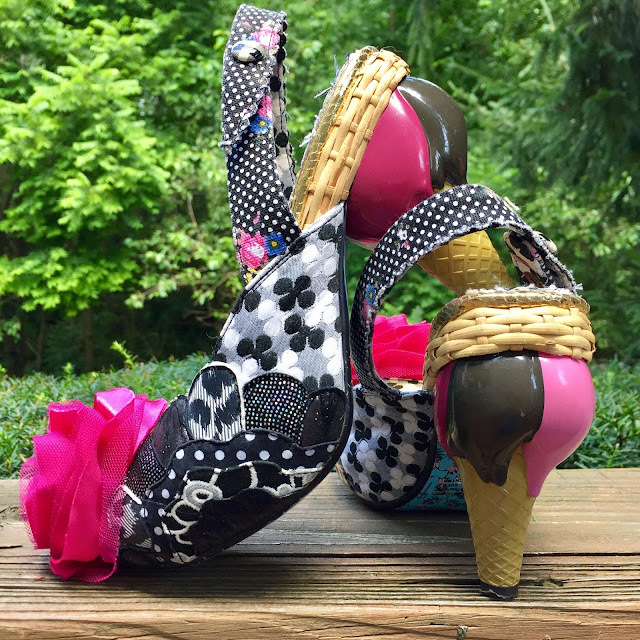 In fact, over the years I have accumulated three different pair of ice cream shoes, like these kitschy heels from Poetic License, and I can't get enough of this fun "sundae" purse from Betsey Johnson. Hope you're enjoying your own frozen treats, today, too! 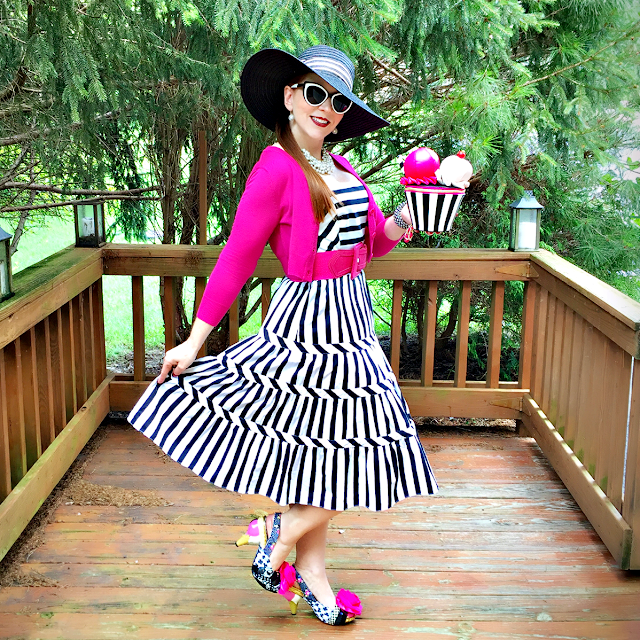 As always, another delicious outfit with the perfect hat topping from you! 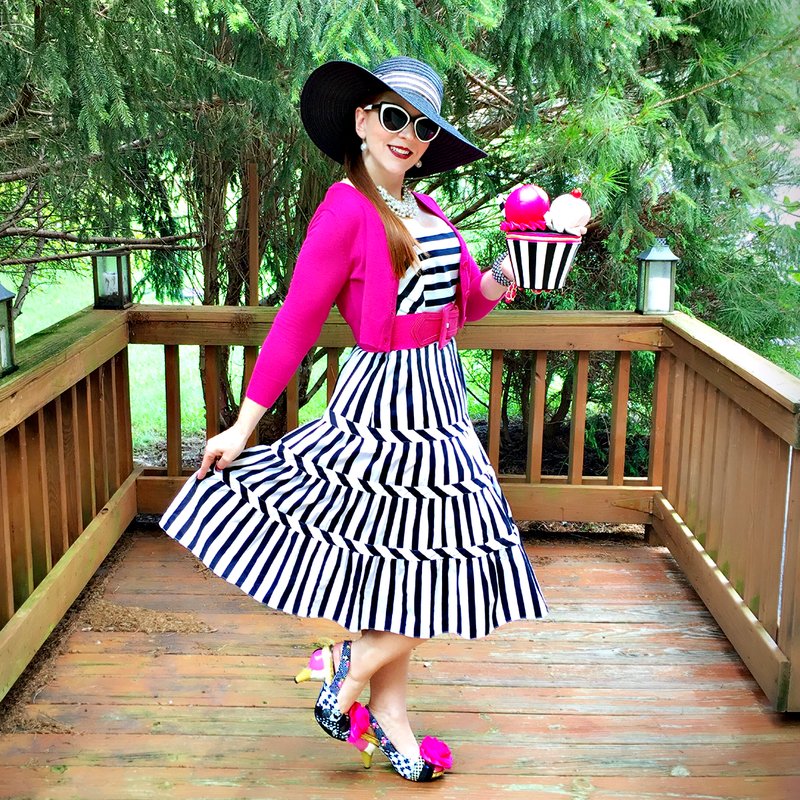 Wonderful styling Jody, thank you for sharing your fun creative style with Hat Attack! This is something i find interesting. 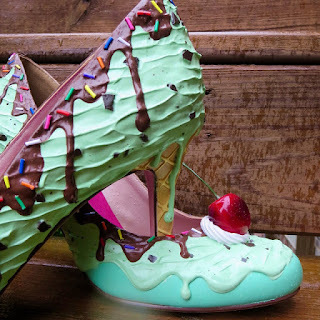 Red's shoe Diaries" is the blog where the shoes are designed on the icecream theme, they look amazing and unique, keep sharing more good stuff.